Professor of Security Engineering, Professor Muttukrishnan Rajarajan, is spearheading the two-day Workshop, alongside co-sponsors, Nanyang Technological University Singapore, the UK’s Engineering and Physical Sciences Research Council and the US Office of Naval Research. Professor of Security Engineering, Professor Muttukrishnan Rajarajan, will be presenting his research into the challenges and opportunities facing Cloud and Big Data privacy at the International Workshop on Cloud and Big Data Security, on 21st and 22nd September, at Singapore’s Nanyang Technological University. City post-doctoral fellow, Dr Rahul Yogachandran, will also share his research into “Privacy-preserving Big Data processing in the Cloud”. Co-sponsored by City, Nanyang Technological University, the UK’s Engineering and Physical Sciences Research Council (EPSRC) and the US Office of Naval Research, the Workshop will address some of the problematic issues around the practices and structures surrounding big data analytics, notably including privacy and security. The Workshop will also feature presentations from academics based in Italy, the USA and India. These include Professor Mauro Conti, on “Mobile Cloud Computing: Novel Privacy issues and Possible Solutions” and Professor Chittaranjan Hota, who will address “Big Data analytics for throttling network threats”. 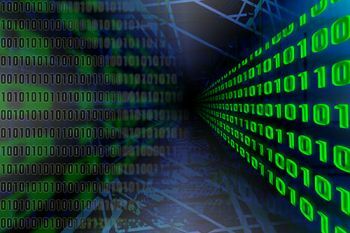 “Big data provides immense benefits ranging from new innovative business models to new ways of treating deadly diseases. The challenges to privacy arise because technologies collect so much data (from embedded sensors available in smartphones to cars) and analyze them so efficiently (through various data analytics techniques) that it is possible to infer new knowledge without the user being aware of it. However, existing privacy-preserving techniques such as randomization do not provide the necessary data controls to safeguard the individual's privacy." Over the last decade, Professor Rajarajan and his international collaborators have attracted funding valued at £1.5m for developing novel privacy-preserving data classification techniques for social media data; for developing novel privacy-preserving data analytics techniques for biometrics data and more recently, assisting the financial sector in the field of privacy-preserving speech processing for compliance and regulatory purposes. Big data analytics is the process of examining large data sets containing a variety of data types, i.e., big data, to uncover hidden patterns, unknown correlations, market trends, customer preferences and other useful business information.